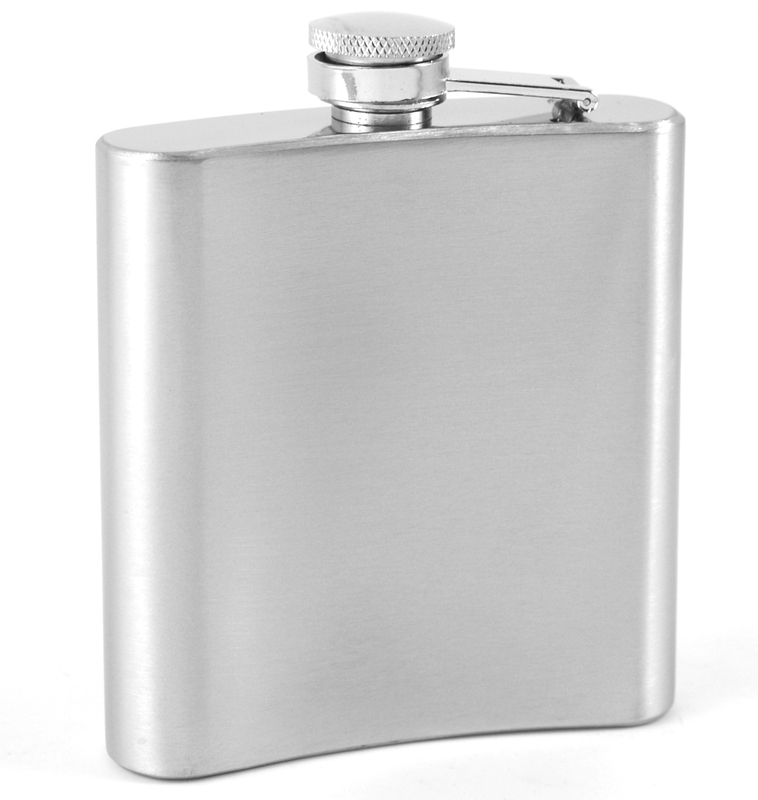 Carry six ounces of your favorite drink with this pocket sized flask. The classic design paired with the brushed stainless steel construction make it the perfect groomsman gift. Because of the material, you will not have to worry about beverage tainting rust. It also has an easy twist and lift lid that is attached to the flask for convenience. The smooth surface can easily be engraved and customized however you like.